A flat dish with a spout. This is one of the items in the shop that I have problem finding out its use. Spout – suggest the use for pouring out liquid, powder or beads? 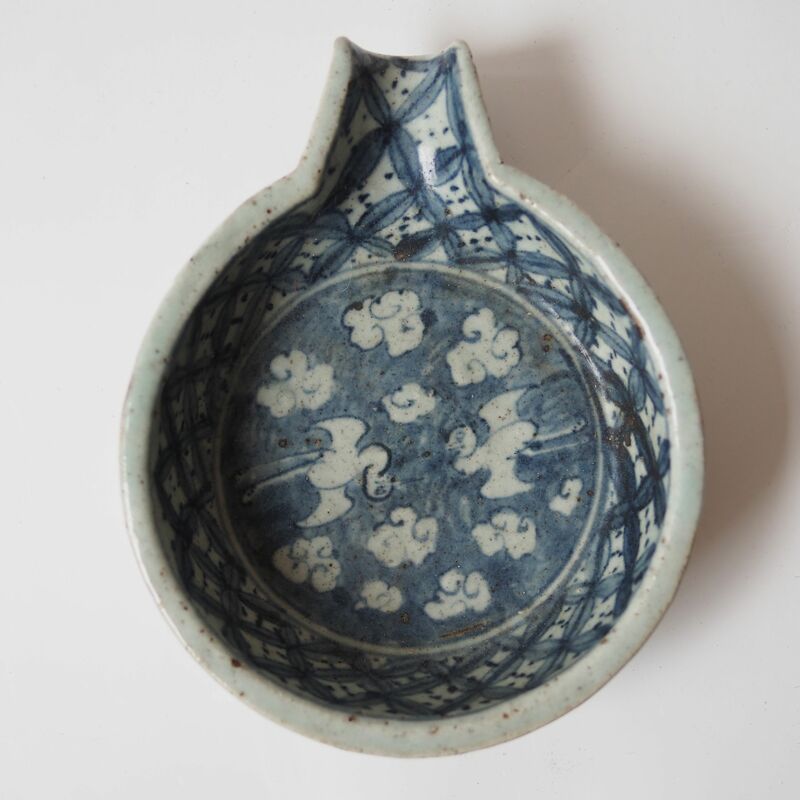 Blue and white under glaze – suggest a clear liquid (verse ink) so pattern can be appreciated? Heavy & flat – suggest not intended to be handle often (unlike a teapot)? If anyone has any idea how this item was intended to be used, please let me know! If you are interested in solving puzzles, check out the other curious items; A Jade Tool, Paper Lacquered Tray. Now back to the pattern; clouds and crane. It is a popular ceramic pattern, it is believe that the crane is a mythical bird and symbolizes longevity. thanks! that’s a very interesting idea! i will look into the chinese version of gemellion. unlike the gemellion though this item is rather bulky and heavy to hold. A spoon rest ? Or ladle or serving spoon rest ?